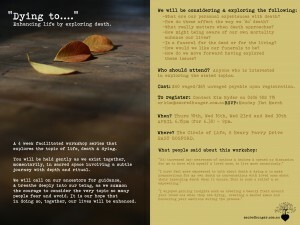 “Dying To….” is a workshop series that will explore the many issues involved in death and dying, in the hope of expanding our views and experiences with death. 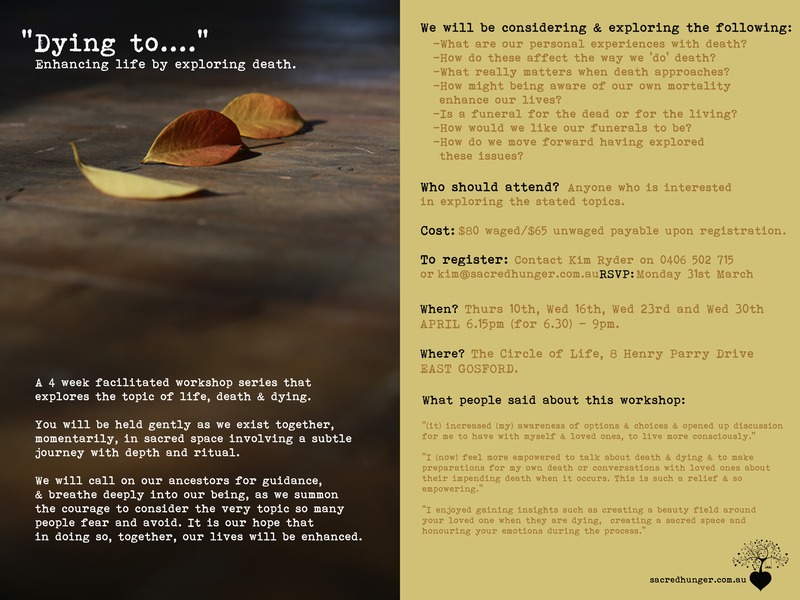 The next workshop is in APRIL 2014 on the Central Coast of NSW, Australia. Attached is the current flyer. I hope you can join me soon!